The new sound bar can pair with additional Yamaha speakers to create a wireless surround sound system. Yamaha has detailed the latest addition to its MusicCast lineup of audio products. 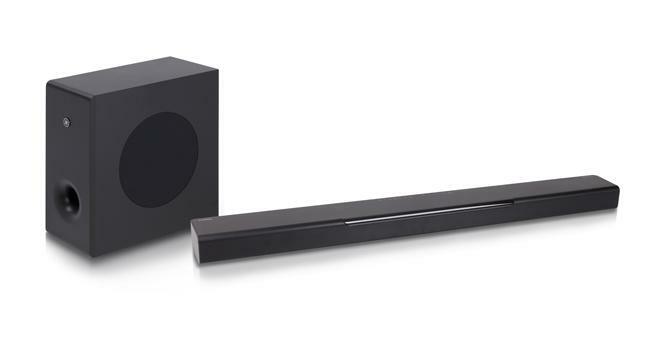 The MusicCast BAR 400 Sound Bar is set to launch in September for an MSRP of $499.95. "The MusicCast BAR 400 offers exceptionally high performance and gets the most out of your music, video and gaming content," said Robert Goedken, general manager, AV Division, Yamaha Corporation of America. "This sound bar packs a wide array of features and advanced technologies at a price unmatched in its class." 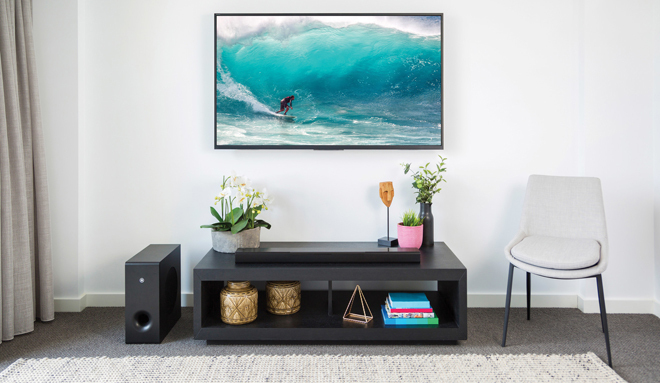 The sound bar system includes a wireless subwoofer and features MusicCast wireless multi-room audio technology, along with Wi-Fi and Bluetooth connectivity. In addition, the BAR 400 can wirelessly pair with 1-2 MusicCast 50 speakers or 2 MusicCast 20 speakers using Yamaha's MusicCast Surround technology to create a full 5.1 home theater system. Likewise, the device offers Dolby Digital and DTS Digital Surround support, along with high-res audio playback at up to 192kHz with 24-bit resolution. Meanwhile, DTS Virtual:X post-processing technology is provided as well, allowing the unit to create 3D virtual surround. Wired connectivity options include an HDMI input, an HDMI output with Audio Return Channel (ARC), and optical and analog audio inputs. In addition, the system supports voice control from Amazon Alexa devices, like the Amazon Echo line of smart speakers. And as part of Yamaha's MusicCast wireless multi-room audio platform, the BAR 400 is capable of streaming thousands of internet radio stations, locally stored music files on mobile devices and computers, and popular music services via the MusicCast Controller app, including Spotify, Pandora, SiriusXM Internet Radio, TIDAL, Deezer, and Napster.